To prove his story about travelling with the Doctor, Ian ignores the Susan angle and relates a seemingly unrelated adventure wherein the Vicki-era Tardis visits Hisk, a city which runs on resource sharing, making its profits by means of sales to outsiders or visiting traders. The flaws of a communist worldview are explored in a very different manner than the warnings of world history already provide. Rather than a viciously invasive totalitarian regime upending both past national glories and any sense of individual rights, privacy or dignity, The Sleeping City takes things a step further, pointing out the wrongheadedness underlying what would on a very surface level seem a utopian dream. A Social Darwinist experiment to rid society of “the unfit and unwanted”, the “shared dream” of Limbus paints a vital warning against social engineering and propagandist conditioning of all stripe. While the evils of an elitist plutocracy, with all the power, funding and privilege in the hands of a few are self evident (more obviously so by the day, in fact), like David Lemon’s Dark Shadows tale Curtain Call last month, author Ian Potter paints a cautionary fable reminding the frustrated and ever increasingly imposed upon proletariat to have a care, lest they be swept into an equal if not greater evil hidden in a supposedly more egalitarian dream. Ultimately, what The Sleeping City points towards is the simple fact, so often lost on the masses, that both sides meet at the ends of the political and philosophical circle. Extremes of belief and action are considered extreme for a reason – they both deviate from and are fatal to the individual and community alike. And worse, when humanity is lost – the empathic concern for others that separates man from the beasts – we all become the “hollow men” of TS Elliot, empty, without meaning to our existence and driven by anomie to ever-increasing extremes of belief and action, to our assured mutual destruction. William Russell’s hoary if stentorian tones once again lend a surprisingly realistic veneer to his take on William Hartnell. At times, it’s almost as if the man himself had returned to deliver the lines attributed to him herein – as noted in the earlier The Dark Planet, Russell delivers one of the more uncanny interpretations of the associated Doctor in the long line of Companion Chronicles to date. 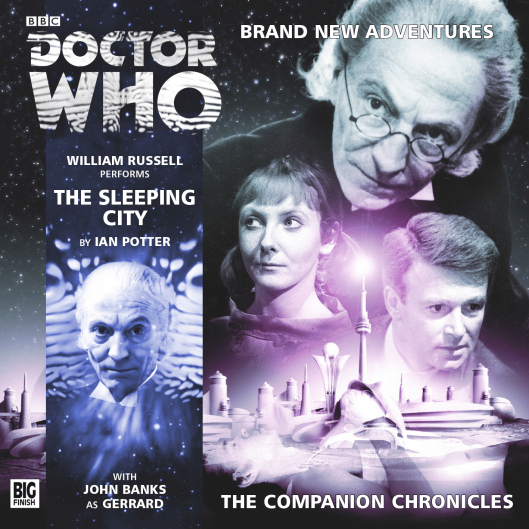 While on a certain level, the Sleeping City, like most Companion Chronicles offerings, can be read as a light entertainment celebrating the history of Who by bringing back Doctor-less companions of yore to tell of unfilmed adventures that “fell between the cracks” of what fandom has come to know of each Doctor’s timespan, it’s to the credit of those involved that deeper readings like this are not only possible, but strongly insinuated if not glaringly obvious. Because like the aforementioned Hollow Men, without examining ourselves and the intricately intertwined ecosystem of flora, fauna and fellow man we are part and parcel of, without striving to be more…what are we, in the end, but dust? And what horrors may we perpetrate on ourselves and others? The news headlines paint an ugly picture of that very thing. 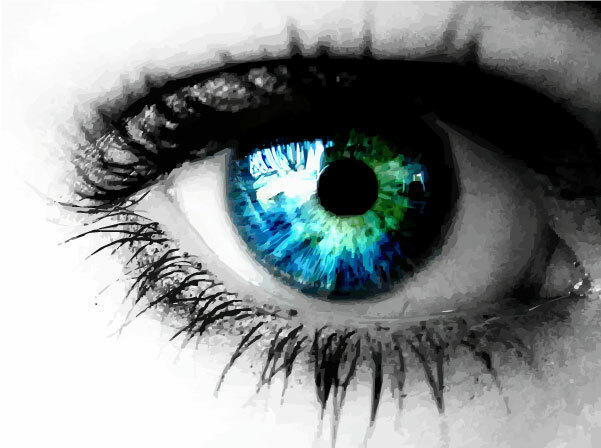 Maybe it’s time we all took a good look at who we are and where we’re going. Or if you prefer, perhaps it’s time to do a fair bit of soul searching – to decide who we really are as individuals and as a society, determine what really matters in life and act accordingly.